This is the Euroleague game that is scheduled to have the biggest impact on the race to the playoffs. The Group E clash between Panathinaikos and ALBA Berlin is important not just for the two teams, but other sides in the group will be looking on with great interest. The home side know that a win is enough to book their playoff spot, which means that they will be going all out for the victory. If Panathinaikos win and Maccabi lose, they will grab third spot in the group. There is even a chance for the hosts to book their spot if they lose, because if Maccabi Electra Tel Aviv fail to win their game, a loss of less than 6 points will see the Greeks heading to the postseason. It is not as though the German side are turning up just to lose and allow the Greeks to steamroll past them. ALBA are unable to book their progress this week, but a win will boost their chances and a win by 6 points sees them lead the Greeks if it comes to head to head. However, ALBA knows that if they lose and Maccabi wins, they are knocked out of the running for a playoff spot. 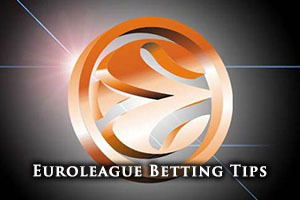 The various scenarios on offer means that there are plenty of reasons why this could be the game that people look towards for their Euroleague excitement this week. The home side have a 12-10 record in the Euroleague so far this season, which includes a 5-5 record in the regular season and a 7-5 record in the Top 16. The away team has a 10-12 record in the Euroleague so far this season which includes a 4-6 record in the regular season and a 6-6 record in the Top 16 so far. With respect to average points scored, the Greens lead by 76.5 to 73.0. James Gist is currently the top scorer for Panathinaikos with an average of 9.7 points and Esteban Batista has grabbed an average of 6.2 rebounds this campaign so far. Veteran Dimitris Diamantidis has offered up an average of 6.0 assists this campaign. Even in his absence, Jamel McLean has remained the top scorer for ALBA with an average of 13.3 points per game this season. He has also served up an average of 5.3 rebounds per game this season, making him a vital player for the Berlin side. Alex Renfroe has also stepped up to the plate this campaign, providing an average of 5.0 assists per game this season. Panathinaikos are currently in second place in the Greek league, sitting with a 20-3 record, placing them behind Olympiacos who have a 21-1 record. The most recent domestic game for Panathinaikos was an away win over Panionios, winning by a score of 46-79. ALBA are sitting in second place in the German table, although they share a 23-4 record with Brose Basketball. The most recent domestic game for ALBA was a 90-78 win against Telekom Baskets Bonn. 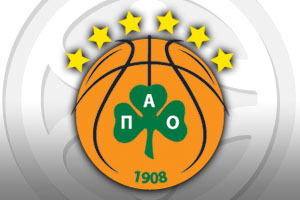 Taking Panathinaikos at -9.5, at odds of 1.90, is likely to be a sound bet for Thursday night. If you are keen to enjoy the Over/Under opportunities, you will find that going UNDER 146.5, at odds of 1.90, is likely to be a decent bet. Bet Now!